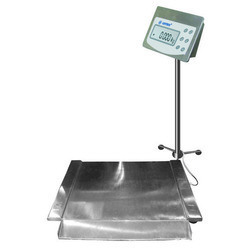 We are the leading manufacturers and exporter of Floor Scales and our product is made of good quality. We are offering our valued clients with the best in class range of Electronic Balances. Keeping in mind divergent demands of the clients, we offer these balances in different technical specifications. Standard bi-directional RS-232 interface.Overload & shock load protection. 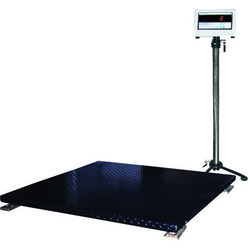 We are the leading manufacturers and exporter of Platform Scales and our product is made of good quality. Made of high-grade basic material and components, these offered products conform to the defined parameters of the industry. All our products are widely appreciated for their significant attributes such as longer service life, efficiency, robust construction and accurate readings. We are the leading manufacturers and exporter of Stainless Steel Low Profile Scales and our product is made of good quality. To cater to the diversified demands of the clients, we offer these products in different specifications. 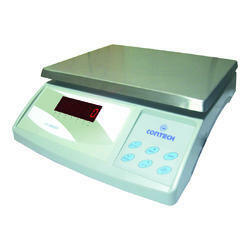 We are the leading manufacturers and exporter of Tabletop Scales and our product is made of good quality. Storage of weights in memory and printing, upto 100 weights. Multiple print options with Sr. No, date, time and weight in horizontal/vertical mode. User selectable Tare/Zero mode option with Net/gross facility for minimum use. 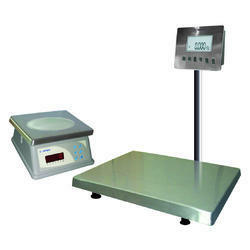 We are the leading manufacturers and exporter of Waterproof Scales and our product is made of good quality. Optional IP 67/IP 68 SS loadcell. Optional IP 67 S. S. Indicator. Optional SS 304 & SS 316 material. Electronics and loadcell totally protected from ingress of water. 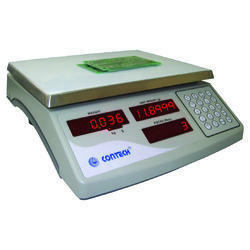 We are the leading manufacturers and exporter of Piece Counting Scales and our product is made of good quality. These products are manufactured by making use of supreme-grade required basic material and components at our sound production unit. To meet diversified demands of the clients, we offer these scales in different sizes and designs. 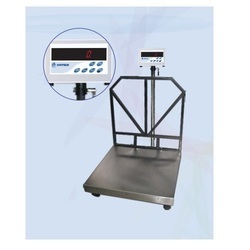 We are engaged in offering a comprehensive range of Piece Counting Scales. Print option with date/ time, count, and weight. 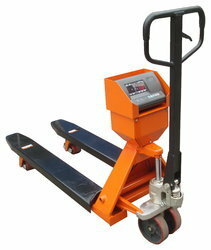 We are the leading manufacturers and exporter of Pallet Scales and our product is made of good quality. Looking for Industrial Scales ?